In 1977, Womenspace began helping victims throughout Lane County escape domestic violence. Today, the agency serves thousands of survivors and offers prevention services to school kids. In honor of their 40th year, Womenspace invited Tanya Brown to Eugene. She is the youngest sister of the late Nicole Brown Simpson. It’s been 23 years since Nicole Brown Simpson was viciously murdered on her front porch in Los Angeles. The trial of her estranged husband and sports legend, OJ Simpson, included testimony about emotional and physical violence during their marriage. Tanya Brown (center) is youngest sister of Nicole Brown Simpson. Here, her mother, sister Denise and Tanya visit Nicole's grave. Tanya Brown is ten years younger than Nicole. She did not see the violence but she does remember helping Nicole move out of the Rockingham mansion. Brown says the trauma and chaos surrounding her sister’s murder ultimately turned to a commitment to change lives. The family started a foundation. Tanya joined her oldest sister Denise Brown to advocate against domestic violence. I asked if Nicole would approve of their work. 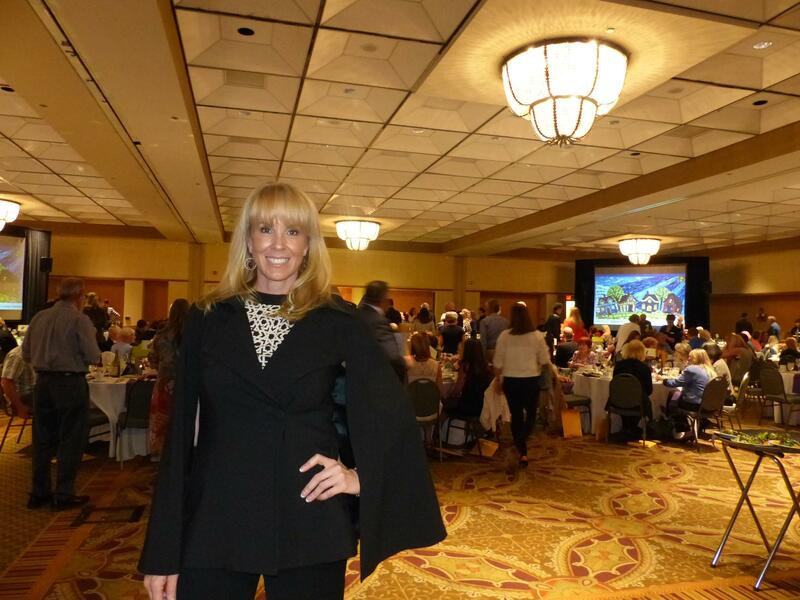 Tanya Brown was keynote speaker at Womenspace 40th Anniversary Dinner at the Hilton in Eugene. More than 300 people attended. Tanya Brown met volunteers and staff of WomenSpace in Eugene and keynoted their 40th Anniversary celebration. She says any victim of domestic violence should know there is caring support (quote) “right in your own back yard.” Womenspace offers safe shelter, services and education in Lane County with satellite offices in rural areas. 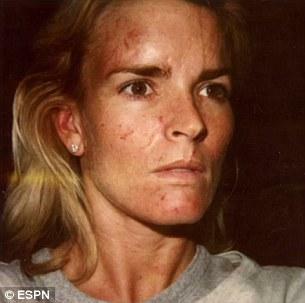 Images of a beaten Nicole Brown Simpson. Over the past two years, the number of households reporting domestic violence has more than doubled in Lane County. That’s according to Womenspace, a crisis center that serves victims of Intimate Partner Abuse. The agency also reports that more than half of those households include children. Advocates say violence has long-lasting, often devastating impact on kids. Halie and the Moon Debut with a Benefit Concert for Womenspace, Inc. This Saturday evening, November 14th, at the First Christian Church in Eugene, there will be a benefit concert for Womenspace to support their work against domestic violence, a concert which will also launch the new band Halie and the Moon. It’s a very different musical direction for vocalist Halie Loren, away from jazz and into acoustic poetic dream pop on their debut CD, Blue Transmissions Vol. 1 . 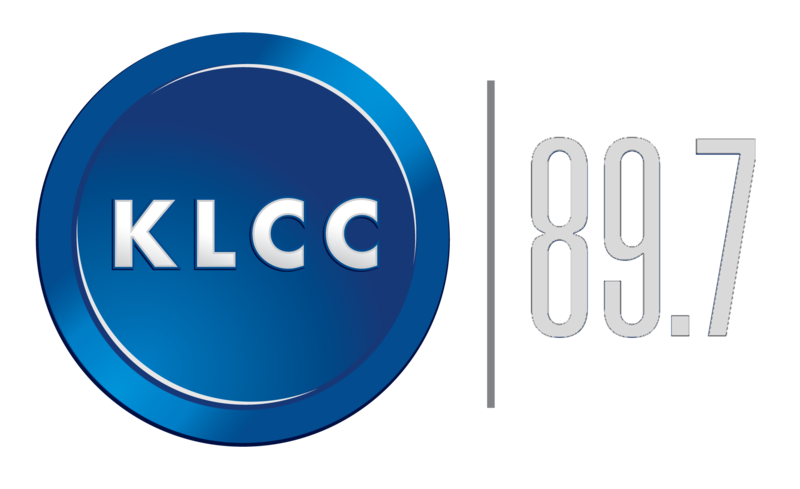 Rachel Collins from Womenspace and Halie Loren visited the KLCC studios. During October many people may notice pink themes on clothing to raise awareness for breast cancer. For years, Eugene's Womenspace uses this month to focus on domestic violence awareness. Domestic violence has been in the national spotlight recently in professional sports and college campuses. Womenspace Executive Director Peggy Whalen says it's great to see the issue being discussed openly, but many times the wrong question is being asked.